What Is the Cheapest Meal Delivery Service? One of the smartest ways to save some cash each month is to start cooking at home more. Not only is it more affordable, you can also experience the joy of cooking for yourself and your loved ones, and really make your house feel more like a home. This is one of the reasons that meal kit delivery services have become so popular as of late. They help you create unique, delicious, and healthy meals at home, without having to do any shopping. These delivery services also help you come up with ideas for new dishes, and let’s be honest, a lot of us only have so much bandwidth each week for creativity and new ideas. So without further ado, let’s take a look at some of the cheapest meal kits on the market. Home Chef gives you the option of picking from 14 different meal options every week, including vegetarian, low-carb, and low-calorie meals. A novel aspect of Home Chef is that it learns what you like and sends you meal suggestions based on your preferences. In addition, all of the recipes—including fun stuff like Cajun Shrimp Tacos or Chicken with Green Peppercorn Sauce and Panko-Crusted Broccoli—should only take you 30 minutes or less to make. With meals as low as $9.95 per serving, and free shipping on orders over $45, a couple can eat 3 home-cooked meals every week for as cheap as about $50. Martha & Marley Spoon is devoted to bringing a touch of lifestyle maven Martha Stewart to each and every kitchen. The service uses artfully-crafted recipes taken from Stewart’s cookbook, with 10 different options to choose from each week. All of the recipes have only 6 steps and are designed to take about 30 minutes, so you don’t need to be a professional to enjoy the types of premium recipes you’d expect from Martha Stewart. When it comes to saving money, Martha & Marley Spoon has a per serving price that stacks up well to the competition, and shipping is always free, no matter how much you order. 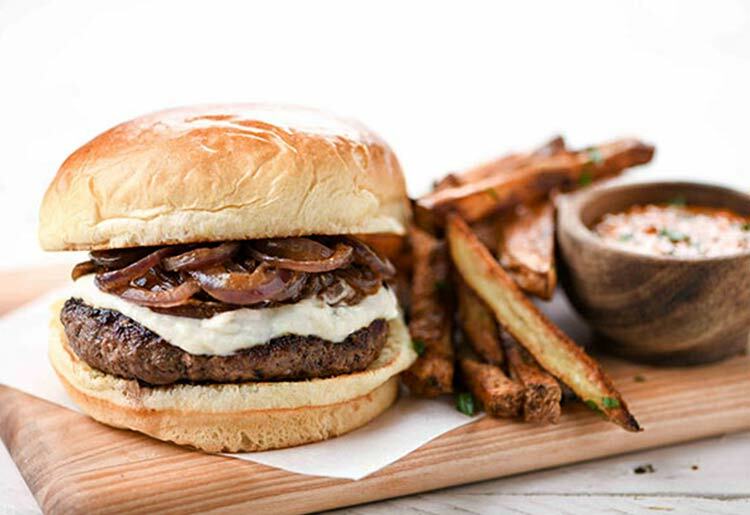 A fun, easy, and delicious option you may want to try is HelloFresh. The company is geared towards busy people who want to eat healthier but don’t have the time to go shopping and think of new meals all week long. 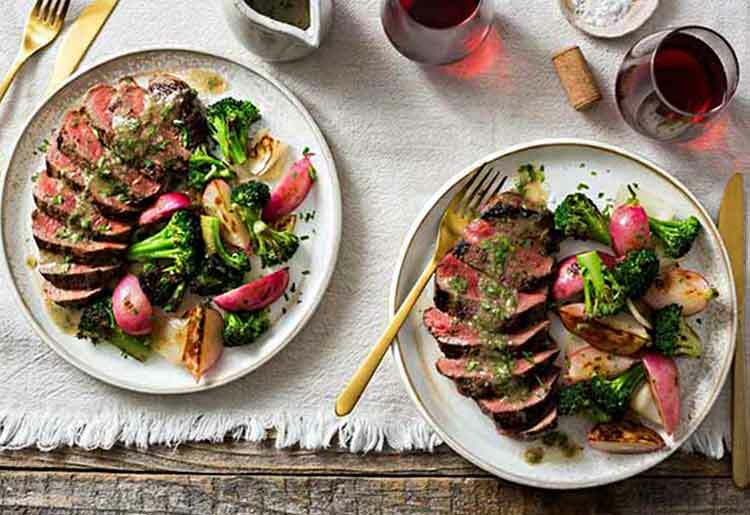 With HelloFresh you get to pick from a variety of meals designed by chefs and dieticians. 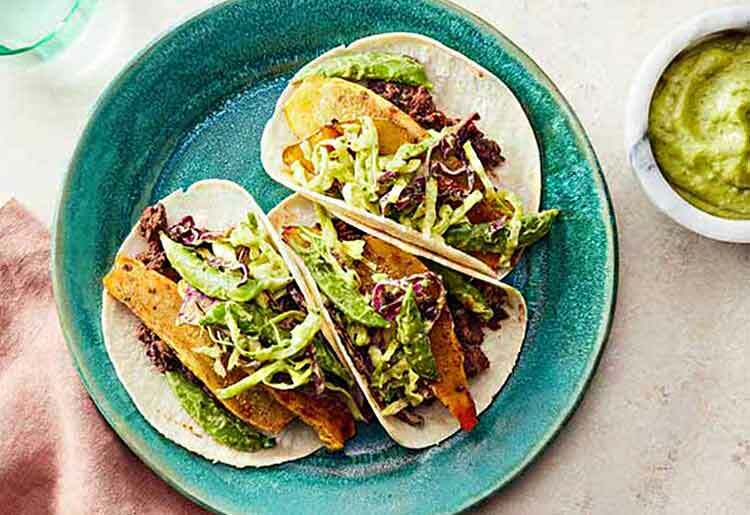 HelloFresh has something for everyone, from recipes that take less than 30 minutes, to variety meals, meant for those looking for something a bit more adventurous. 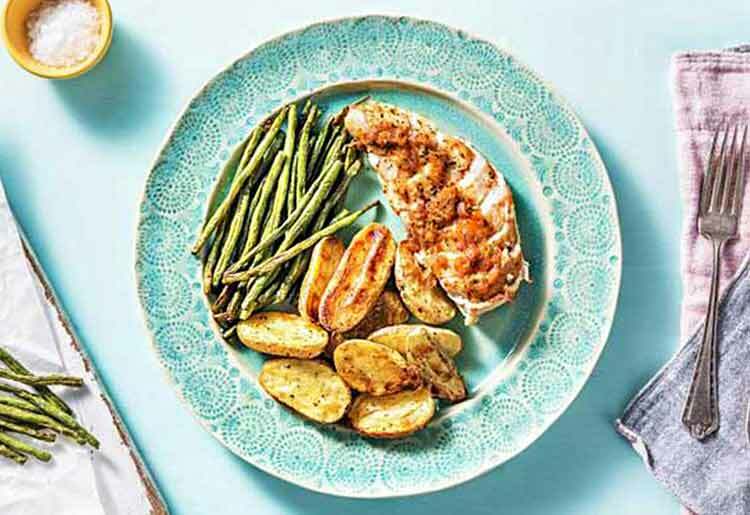 The HelloFresh menu includes things like Honey Sriracha Chicken Legs with Basmati Rice and Green Beans, Pan-Seared Steak with Roasted Butternut Squash and Green Beans Almondine, and One-Pan Hearty Pork Chili with Kidney Beans and Poblano Pepper. One drawback of HelloFresh is that you only get 8 recipe options per week, but with premium ingredients and brilliantly-crafted recipes, you’ll have more than enough to work with. Another draw with HelloFresh is that the shipping is always free, making it one of the more affordable options on the market. 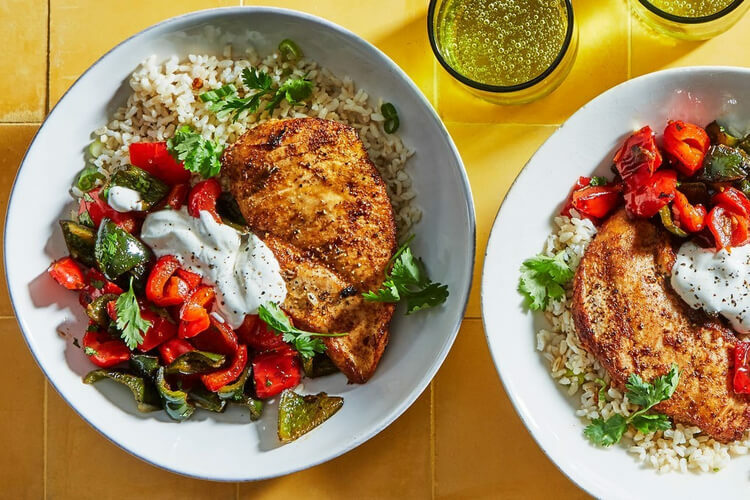 Something of a meal kit plan for foodies, Plated puts a big emphasis on using premium ingredients and offering recipes that you’re probably only used to tasting at restaurants. These can range from Spicy Crunchy Shrimp Bowls to Hoisin Duck Buns. All of the recipes use fresh, seasonal produce and antibiotic-free proteins, and the plans are flexible if you need to cancel or delay a delivery. Plated offers as many as 20 meal offerings per week, as well as 2 dessert options, including fun stuff like S’mores Pies and Berry Turnovers. While Sun Basket is not the cheapest option, there are 2 things about this company to keep in mind. First, the shipping is cheaper than many competitors—in some cases negating the higher per serving cost. Second, the company uses 100% organic produce and offers 18 recipes per week that are developed by nutritionists and award-winning chefs. The company also uses antibiotic and hormone free meats, and seafood that meets strict sustabinability standards. Simply put, you’re getting a product that uses premium ingredients and choosing a company that puts the environment and sustainability first. In addition, Sun Basket’s meal plans can accommodate a number of speciality diets, including gluten-free, paleo, “lean and clean,” vegetarian, vegan, and diabetes-friendly. The Sun Basket menu includes enticing dishes like Thai-Style Salmon with Peach-Cabbage Slaw, and vegan options like Quinoa and Tofu Bowls with Cashew-Lime Dressing. If you’re used to shopping for and cooking with organic produce at home, at $10.99 per serving, you won’t regret ordering through Sun Basket. Even if a meal company is a couple dollars less per serving, if the shipping for the competitor is free, the per-serving price difference is negated. With a company like Hello Fresh, which has free shipping on all orders, it can make a big difference, especially when shipping can easily tack on an extra $10 per order. With some companies, shipping is only charged on smaller orders, for singles or couples. In these cases, it may actually pay off to spring for a 3-person or 4-person plan which comes with free shipping, thus offsetting the cost of the additional servings. Most meal kit delivery companies have special introductory offers to get you to try out their services. For instance, with Home Chef you can get $30 off your first order and $10 off your second order, and with Sun Basket, you can get $35 off your first order. With deals like these, it definitely pays off to give meal kits a shot, and even play the field some until you find one that you really like. We’ll admit—if dinner is just the footlong hotdog at the convenient store or the dollar menu at the drive-thru, then a meal kit isn’t a cheaper option. 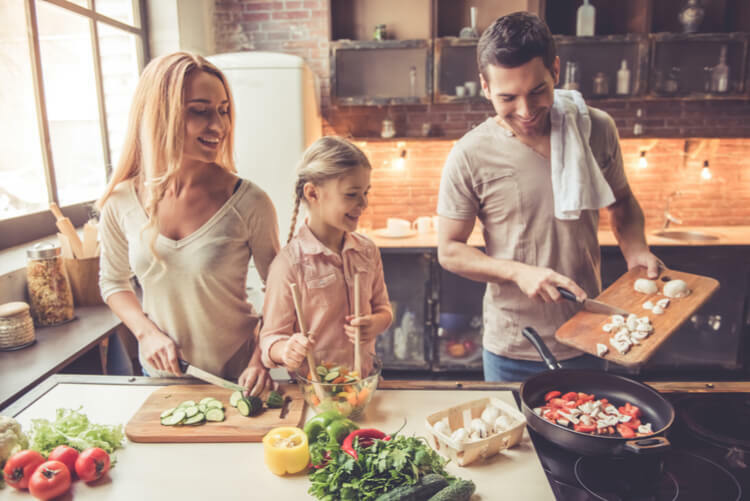 But if you’re looking for healthy, interesting recipes that use premium ingredients and help you hone your cooking skills, then a meal kit is about as affordable as it gets. For slightly more than the price of fast food, you can take your home cooking to a whole new level and finally see what all the fuss is about.